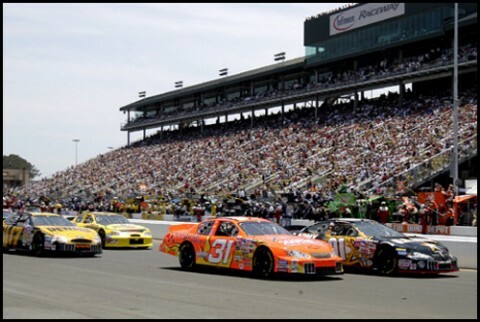 LeDuc & Dexter was recently honored along with 13 other Raceway Builders, who have worked with Infineon Raceway and made donations to the Speedway Children’s Charities at Infineon Raceway. 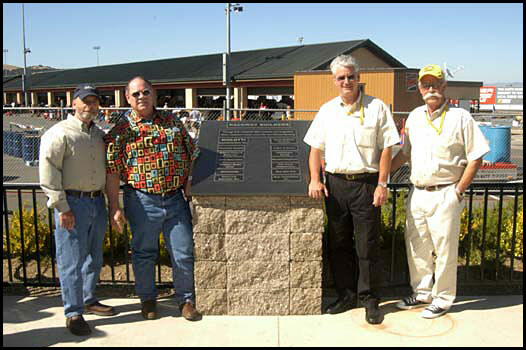 A granite monument is displayed in front of the Speedway Café near the entrance of Infineon Raceway with the names of the 14 Raceway Builders that made donations benefiting Sonoma County non-profit youth programs. Infineon Raceway President and General Manager Steve Page along with Jere Starks, Vice President of Facilities made the dedication of the monument with many of the participating Raceway Builders present at the event held prior to the 2004 Dodge/Save Mart 350 NASCAR NEXTEL Cup race weekend of June 25–27. This year’s Raceway Builders donations to the Speedway Children’s Charities benefit 3 youth organizations, the Valley of the Moon Boys and Girls Club, the Sonoma Valley Mentoring Alliance and the Valley of the Moon Children’s Home, which is building a new facility on Hwy. 12 in Kenwood. The Raceway Builders will donate to the Speedway Children’s Charities over the next 4 years and sponsor the Grand Marshall’s Banquet, which was held this year on Friday, June 25th at the beautiful Cline Cellars in Sonoma. The Smothers Brothers were the honorary Grand Marshalls for this year’s NASCAR race and were honored at the banquet.